It’s been a while that i have featured Business & Corporate Template. Templates for Business and Corporate have been evolving from time to time. Save your time by just buying it from themeforest. Here’s some of the high quality and elegant WordPress theme that I’ve hand-picked. Nova is the first and most essential feature of the theme – the way it’s built. 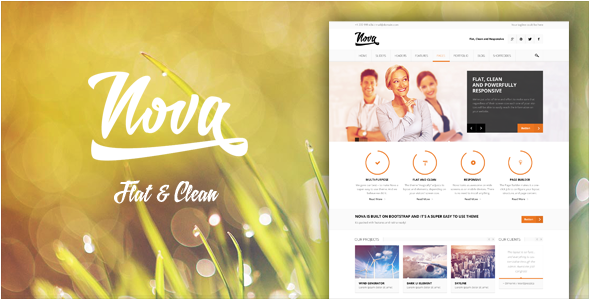 Nova can manage all the content and elements are manipulated in an extremely easy, simple and fast. Nova tried to cut down the time of going from one tab to another, in order to change the simplest of settings. Nova have put much thought in all the main components of work with the admin. People love WordPress because it saves time. Nova a super easy to use theme. Expose Folio is a responsive Multipurpose WordPress Theme, it is Retina Ready that means it will automatically fits your screen size and looks just as great on the iPhone as it does on the desktop. The Theme comes with two main layout! Wide and Boxed! and comes with an User Friendly Page builder! Easily customizable via the WordPress Admin Interface , upload your own logo, change color of the theme in one click, change the background of the theme, header and footer, you can also change the typography using the Google fonts. You can customize each page to make each of them unique! Built-in swipe support for your portfolio, images and video. 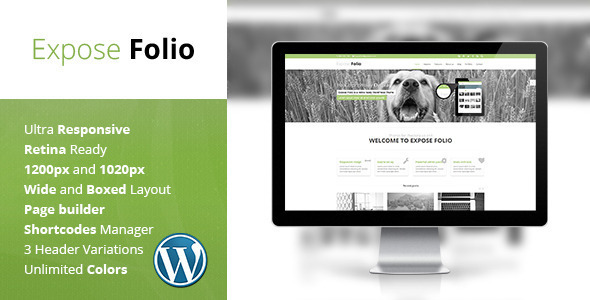 Expose Folio can be used for Business or Creative site. The EFFEKTIVE is the most flexible and attractive theme we’ve ever created. 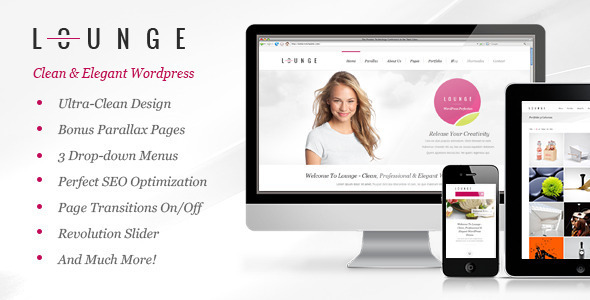 It’s a highly versatile Premium WordPress theme that everybody wants. The design is clean and you have seven layout options to choose from. 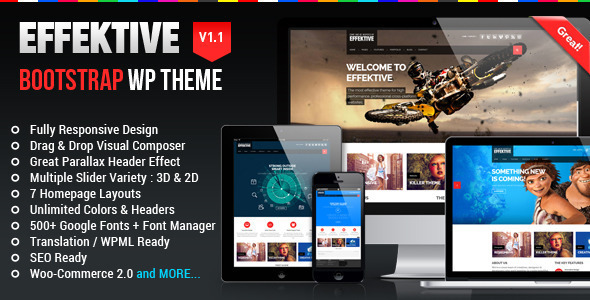 The EFFEKTIVE offers many key features such as a custom slider manager, great parallax header effect, lots of cool widgets, custom heading, background color options and easy to maneuver back-end controls for flawless implementation. The EFFEKTIVE also does a great job with providing straight forward documentation and tutorials to help with your install. 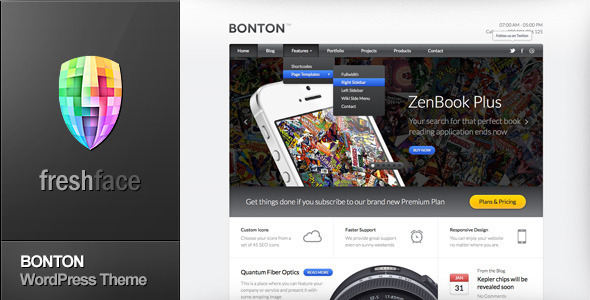 BONTON is a Retina Ready Responsive WordPress theme that simply good for your corporate and business. 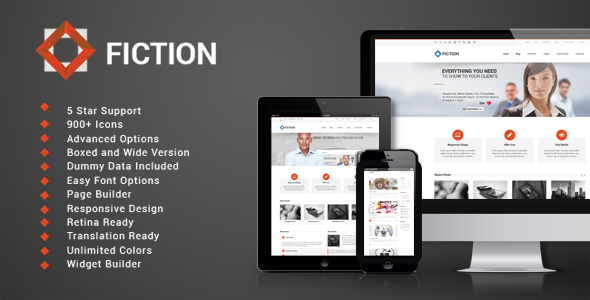 Viteeo is the theme for creatives and professionals. Packed with great and usable features. 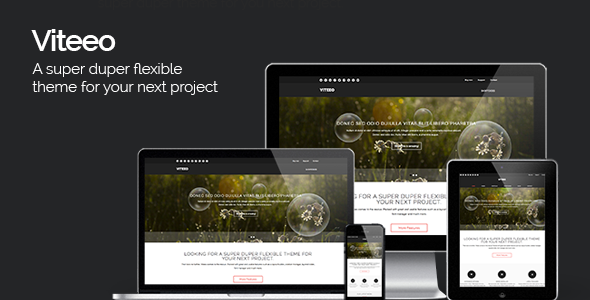 It’s the perfect solution for you when you want to build a super duper theme for your next project. 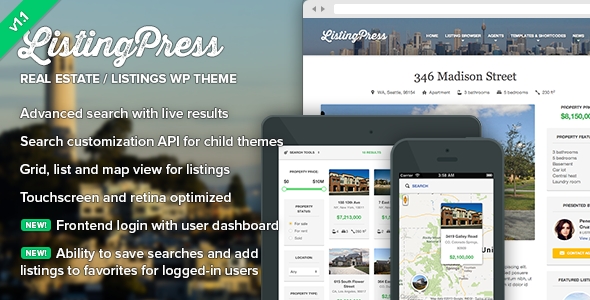 ListingPress is a powerful listing search platform. It comes in form of real estate theme by default. The theme has a listing search API built in so that you can customize search filters via a child theme to fit different niche, such as car dealership as an example. ListingPress packs a functionality of industry-leading real estate websites wrapped with a better, more user friendly and responsive design. If you like what you’re reading. Please share. net visitors, who aare wishing for blogging.